13/6/14 – Last night we stayed at Swinging Bridge, we pulled in around 8.15pm had a quick cuppa and bed. We were up early and on the road by 6am, big day of travel today. We had a really good run. Only hold up was road works either side of Tambo that went for ages. With ominous looking grey clouds we stopped for the night 51km south of Blackall. We had planned to stop earlier but the official rest stops were very close to the road. Where we stopped was a large area with several tracks and it was obvious it was well used by fellow travelers. As we were having our tea it started to rain. We quickly pushed the kitchen back in and put dirty dishes wherever they fitted to worry about in the morning. Chairs went in the camper and we read in there for a while before having an early night. 14/6/14 – It rained on and off overnight, think we had around an inch of rain. Thankfully it wasn’t raining in the morning so we were able to sort things out from the night before and only had damp canvas to pack up. 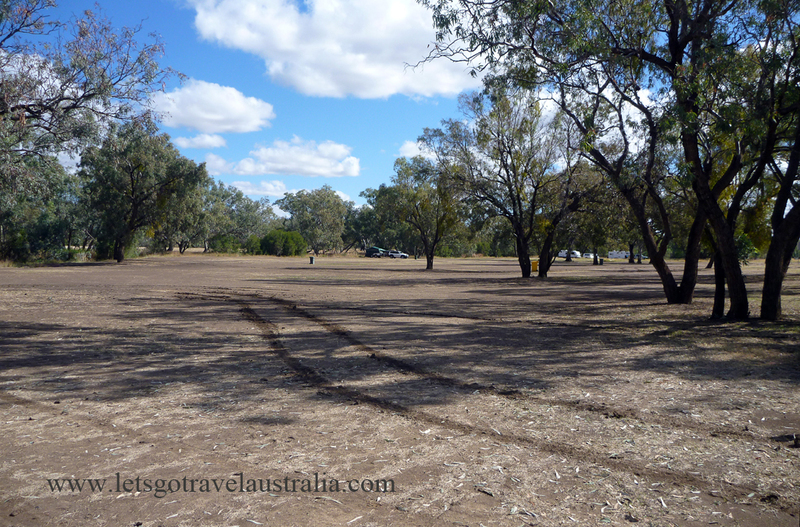 Where we had camped was black soil and when we were pulling out we got bogged. Winch had to come out and then Chris had to keep the ute moving all the way to the main road with it slipping and sliding in the wet mud. 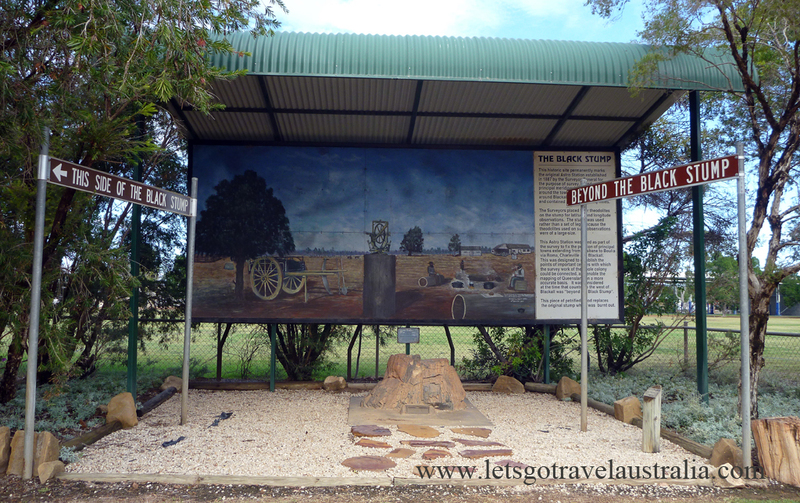 First up have to say Blackall is an awesome county town and will we be back. Unfortunately this trip was a short visit. Quick stop at the Black Stump before moving onto the Woolscour. 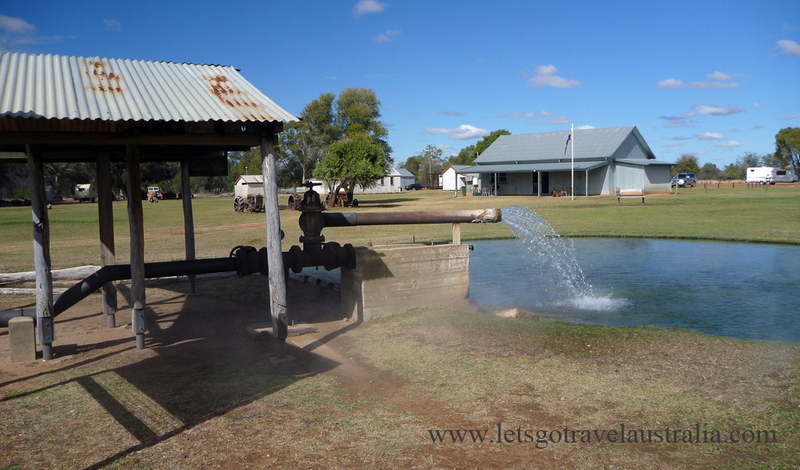 Blackall has the only fully intact steam powered wool washing plant left in Australia. It operated commercially under steam power from 1908 until 1978. 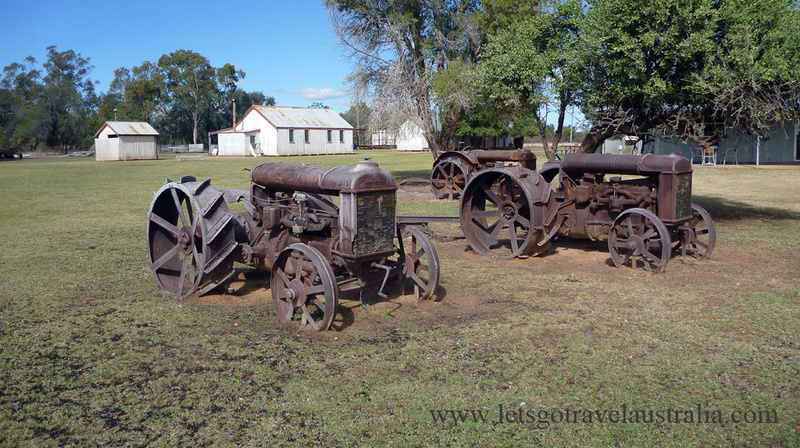 Even though it is now a tourist attraction it is still as fully functional now as it was then. We didn’t do the tour due to lack of time, it was $15 per adult. Tours run on the hour every hour. We were able to a wonder around the outside. We were hanging out to get to the hot springs at the Aquatic Centre. Wow at only $2 each it’s a must do destination in town. There is a 50m Olympic size pool that is 34 degrees and a spa that is 37 degrees. 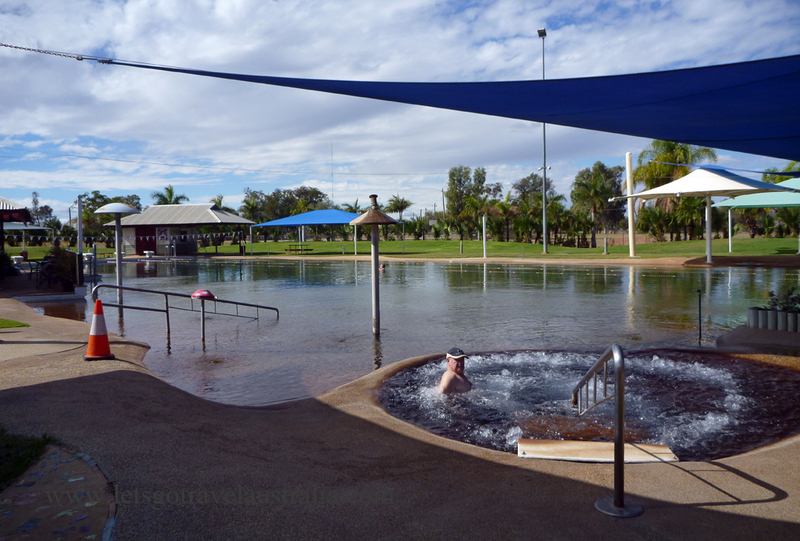 You can certainly feel the difference in temperatures between the pools. It was lovely to have a soak and chat to fellow travelers. We reluctantly got out as we were getting hungry for lunch and it was time to move on. 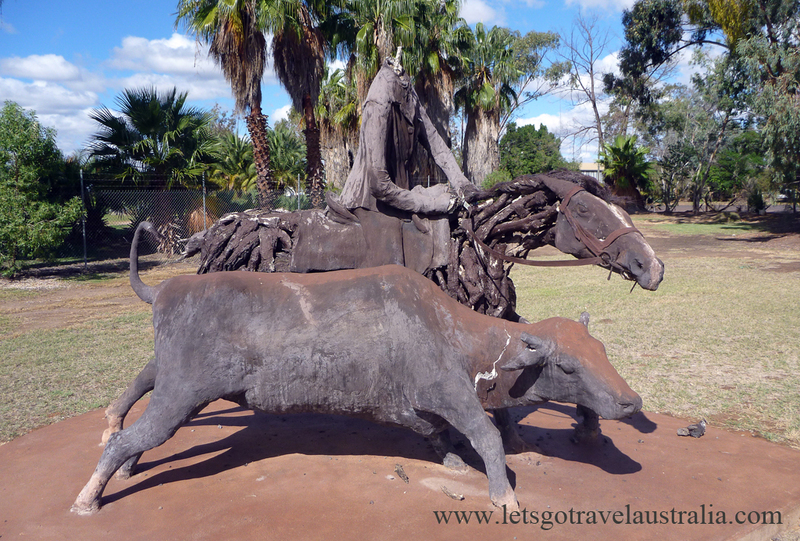 There are several sculptures in town, we saw 2 of them. 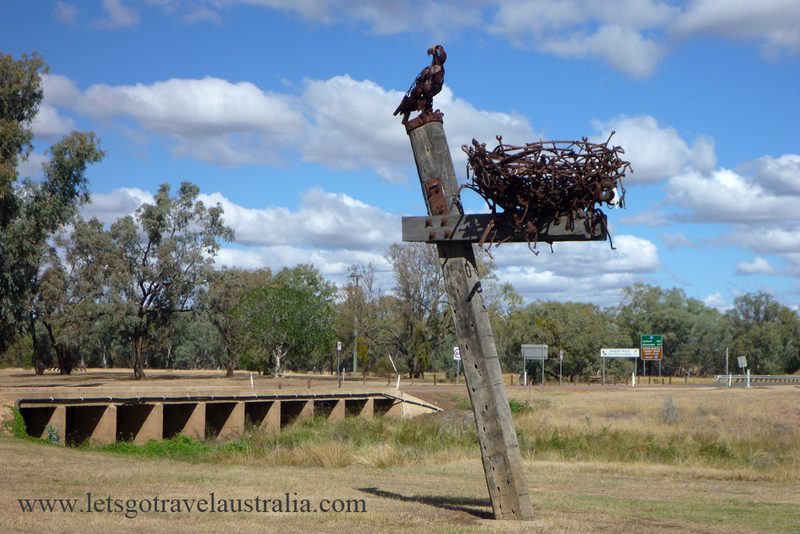 Cutting Out, only his head was missing and The Eagle and Nest down near the Barcoo river. There is camping at the river $8 per night, fees payable at the information centre. We were very impressed with the town and will be planning to stay for several days next time. 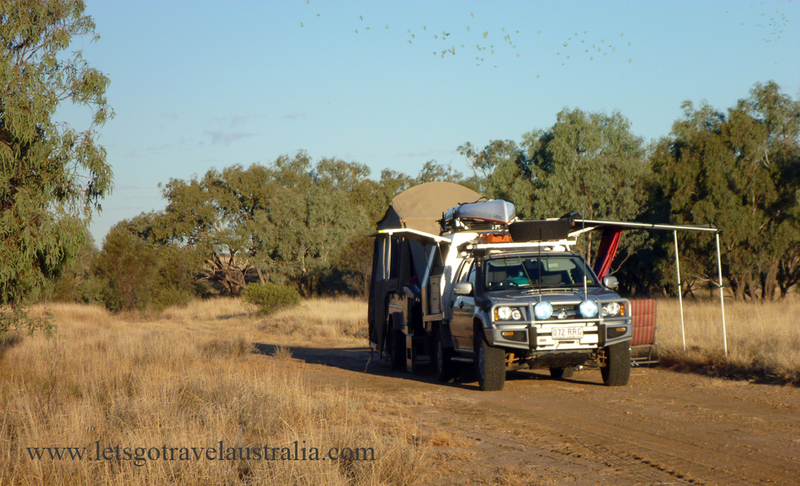 We stopped for the night approx 90kms west from Longreach heading towards Winton. We have stopped here before, part of the old road, no one else around.